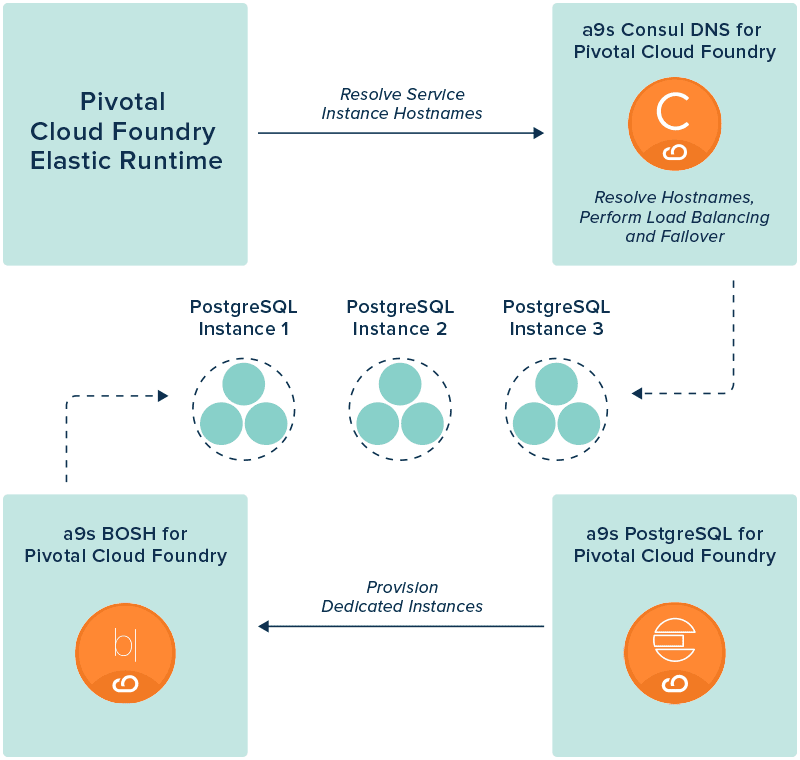 As Pivotal Cloud Foundry allows you to deploy, scale and keep your applications running with very little effort, a9s PostgreSQL for PCF allows you to create, scale and monitor on demand provisioned PostgreSQL clusters with the same simplicity. The a9s PostgreSQL service is a seamless integration so that Pivotal Cloud Foundry users can provision and manage PostgreSQL instances using the Pivotal Cloud Foundry Apps Manager or the Cloud Foundry CLI. Easily provision highly available and dedicated three-VM PostgreSQL clusters and single VM instances with a single command. anynines PostgreSQL is included in the anynines Data Service Kickstart Bundle. This Bundle allows you to use a growing list of services with a single licence. The bundle currently includes a9s MongoDB, a9s PostgreSQL, a9s RabbitMQ, a9s Redis, and the a9s Elasticsearch services. anynines PostgreSQL ships with an on-demand service broker and by installing a9s Consul and a9s BOSH for PCF, a highly available service discovery system as well as a dedicated BOSH is used for the provisioning of PostgreSQL instances. An infrastructure-agnostic failover is performed via a9s Consul for PCF.